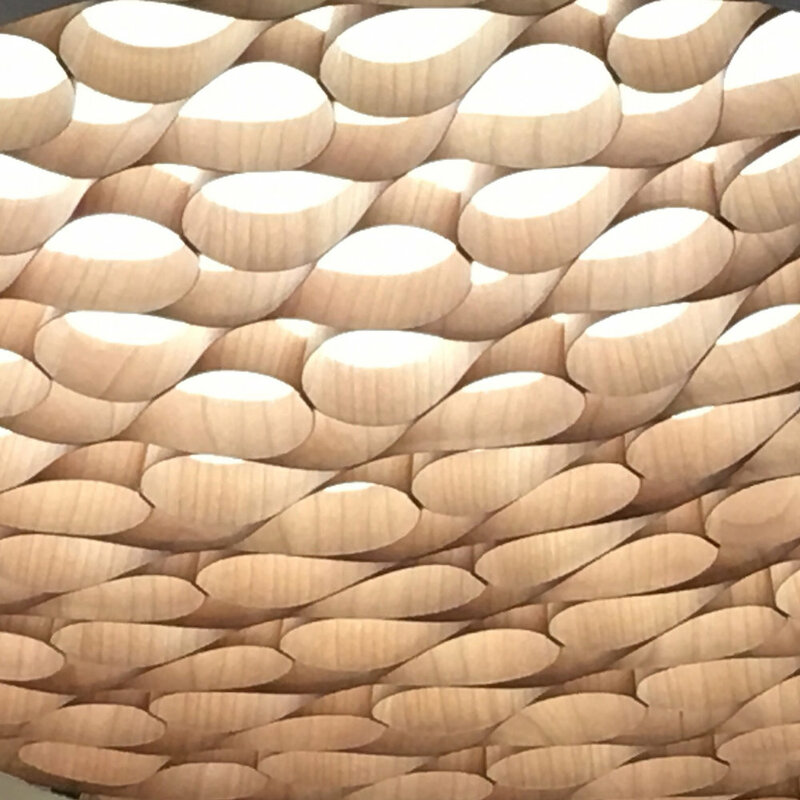 The warmth of the light coming from the Lzf Lamps drew me into the booth at LightShow West.The wood veneer lamps and their organic designs are so intriguing. Since 1994 Lzf Lamps has designed and manufactured these beautiful hand-made lamps in Valencia, Spain. Their studio is housed in a charming old winery. Sigh! For 60+ years the Akari paper lamps have graced homes all over the country. "Miranda, Mirandolina..." Sounds almost like the lyrics of an Italian song. But those are the names of two charming floor lamps from Luceplan.